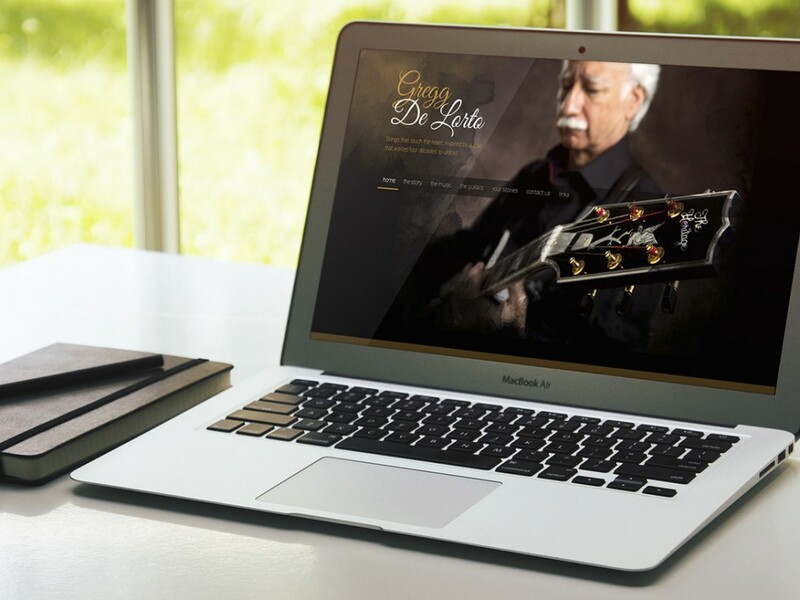 The De Lorto Music site was designed for an extraordinary jazz guitarist, Gregg De Lorto. With a music career that spans a lifetime, Gregg De Lorto combines his passion for music and guitars with new songs that celebrate his reason to write, play and sing. Gregg needed a website that would visually capture the user’s eyes the way his music captures their ears. Gregg’s signature look is what makes him so recognizable in the industry so we capitalized on that with the use of this beautiful photo on the homepage. 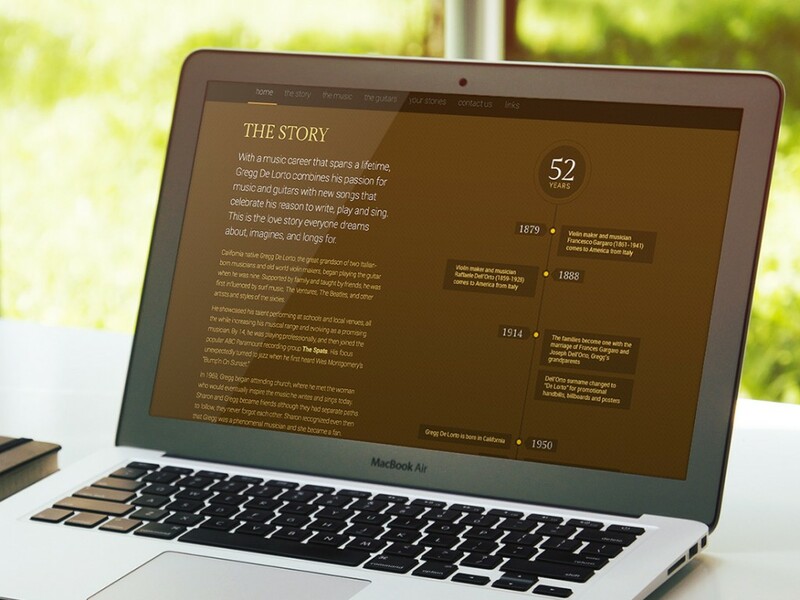 The history portion of the website uses a parallax feature which gives users a sense of depth as they scroll through the timeline of Gregg’s story. 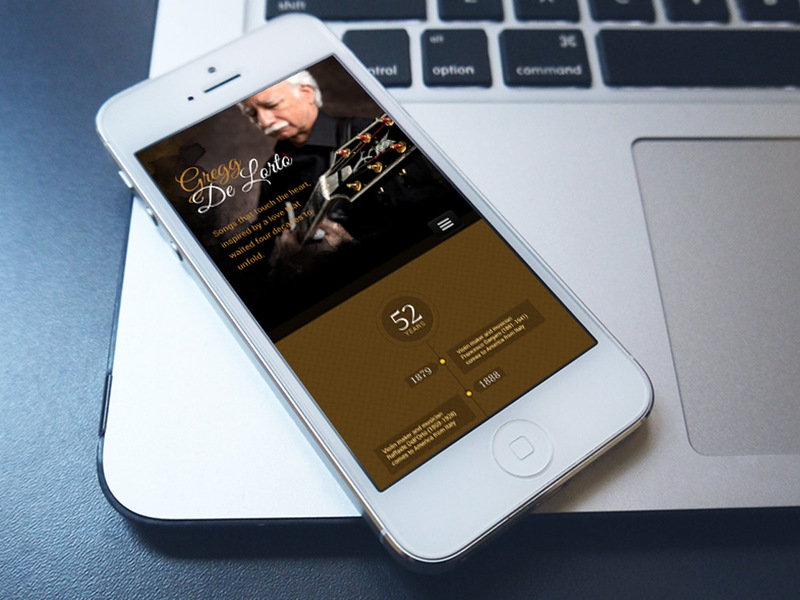 The De Lorto Music website is completely compatible with all phones, tablets and desktops. The De Lorto Music site was a hit just like Gregg’s music. Users are able to listen to and purchase music, and see Gregg’s upcoming shows from their desktop and their portable devices.